Chinese firms continue to pull out of the U.S. real estate market as quickly as they swooped in, with Greenland Group being the latest. 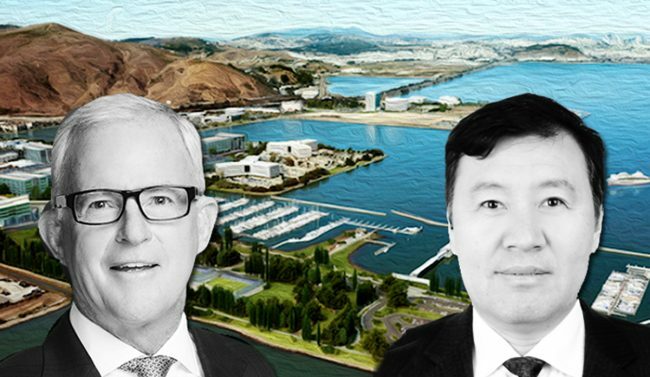 The U.S. subsidiary of the Shanghai-based developer is divesting from a massive San Francisco-area biotech campus development, according to the Wall Street Journal. Greenland has sold the 40-acre property to Los Angeles-Kilroy Realty Corp. for $308 million. Greenland USA purchased the site in 2016 in partnership with Ping An Trust, Agile Group Holding, and Poly Sino Capital for $171 million, with plans to build 1,200 residential units. The partners dropped that plan amid local opposition to residential development, according to the Journal. Kilroy plans to construct an 11-building laboratory and office campus called Kilroy Oyster Point over four phases. It’s the second large project that Greenland has pulled out of in recent months. In November, the firm backed away from a plan with Trammel Crow to build a two-tower mixed-use project at a 15.6-acre site in Hollywood. It’s also looking to sell the hotel portion of its $1 billion Metropolis mixed-use project in Downtown, a potential sign of trouble. Greenland isn’t the only Chinese firm downsizing its operations stateside. HNA Group is selling parts of its hotel portfolio, including its interests in Hilton Worldwide Holdings. HNA also just sold a San Francisco office tower on Mission Street to Northwood Investors for $300 million. Chinese investment in commercial real estate in the U.S. has also dropped dramatically. Chinese companies funneled $7.3 billion into U.S. commercial real estate in 2017, a sharp decline from 2016, when firms spent $16.2 billion, according to a recent report by Cushman & Wakefield.